Have you ever had a holiday so perfect it set the bar for all future holidays? Like that time family flew in and you splurged on a Christmas tea at The Jefferson? Or when you took the kids (in their jammies) to see the The Polar Express at the Science Museum of Virginia? And what about the year most of RVA woke up to a white Christmas? It was the 1860s when a young man visiting Carson City, Nevada, was encouraged to check out a scenic spot just outside town. Many miles (and steep mountains) later, he finally rounded a bend and was blown away by the sight before him. In eleven carefully selected words, he shared his discovery with the world when he wrote, “It must surely be the fairest picture the whole earth affords.” And here’s what Samuel Clemons (not yet Mark Twain) beheld as pine needles crunched beneath his feet and the scent of natural vanilla perfumed his every breath: “a noble sheet of blue water lifted 6,300 feet above the level of the sea,” wreathed in majestic, snow-topped mountains, outnumbered by a carpet of Jeffrey pines. And with the great man’s enthusiastic endorsement, the world – and generations to come – flocked to see the marvel that the Washoe people, Native Americans indigenous to the Great Basin, named Tahoe. Twain fell hard for what we now know is the largest alpine lake in North America at twenty-two miles long and twelve miles wide. At 1,600 feet deep, Tahoe is the second deepest lake in the country after Oregon’s Crater Lake. Nicknamed the Jewel of the Sierra, Twain’s find still sparkles today. The kitsch of beach boardwalks and the Disneyfication of our planet never infiltrated Lake Tahoe, nor the regions surrounding it. 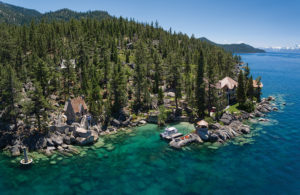 Yet, as you’d expect, Tahoe has seen many changes since Twain trekked this wonderland – changes that might make it your family’s dream vacation. 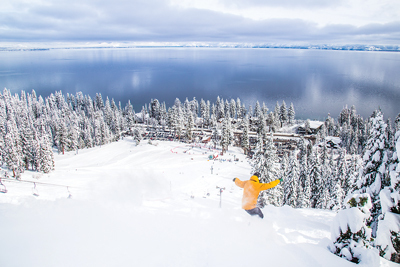 The South Shore of Lake Tahoe has three magnificent ski resorts, casinos, nightlife, family-friendly camping, and beach activities galore. 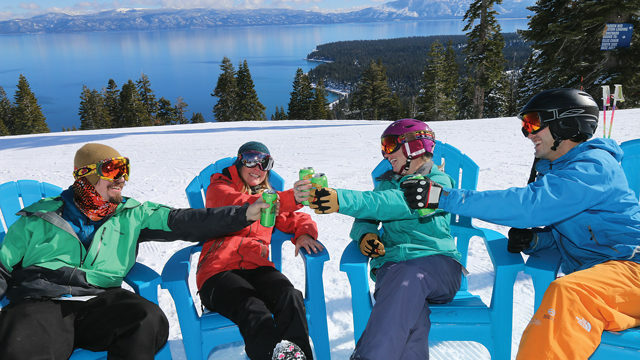 The ski resorts are: Kirkwood for intermediate and expert skiers; Sierra-at-Tahoe, a super family-friendly choice with a nice first-time ski package starting at $49 (sierraattahoe.com); and Heavenly, which is great for all levels. If you’re into cruising, I recommend the M.S. Dixie II. My family and I enjoyed this fabulous cruise with one grumpy 5-year-old, who eventually fell asleep in a snit, and his twin brother who was wide-eyed and excited at every little thing on this two-and-a-half hour cruise. Hiking families enjoy the Tahoe Rim Hiking Trail for all levels of hiking (tahoerimtrail.org), and Eagle Falls or Echo Lake are gorgeous treks for beginners. Locals love Freshies for healthy, Hawaiian cuisine and Evan’s American Gourmet Café. Ciera Steak + Chophouse is Tahoe’s only AAA 4-diamond restaurant. The Sage Room is a classic that’s celebrating its seventieth anniversary this year. Sprouts Café offers healthy and casual fare. I can also recommend the Samurai for Japanese cuisine, and Nepheles for a pricey, but tasty California eclectic menu. For trendy and memorable Mexican food and margaritas, try Azul-Latin Kitchen in the Heavenly village (azullatinkitchen.com), Chimayo (chimayotahoe.com) and Latin Soul (lakesideInn.com). 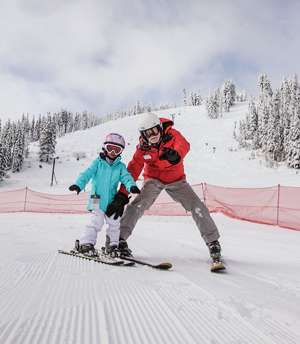 Choosing the right hotel for your family matters in Tahoe because – depending on which hotel you select – you’ll be closer to the things you want to do: skiing, beaches, dining, hiking, s’more pits, and so on. Upscale home away from home: Lakeland Village is your middle-of-town location smack on the water with a free resort shuttle. The Ridge Tahoe is a lavish spot that’s full of amenities with stunning views, plus features easy access to Heavenly on the Nevada side. AirBnB.com, VRBO.com: Empty vacation homes are everywhere in Tahoe. Choose from cottages to castles – and yes, families use AirBnB, so don’t miss out on this resource. North Tahoe locals love Wolfdale’s elegant, California cuisine, the Bridgetender Tavern and Grill for great burgers, Za’s Italian for the best pizza, and Drunken Monkey for sushi and Japanese tapas. At the Sugar Pine Cakery, try the unforgettable cheesecake brownies. Jake’s On The Lake with its California and Hawaiian cuisine is a great choice, and Manzanita (Ritz-Carlton’s restaurant) is fantastic, but the prices!? PB&Js and pizza are on the menu, but for $18 and $20. While the food at Sunnyside Restaurant & Lodge is okay, you should eat there for the view and the prices. Value on the beach: Ferrari’s Crown Resort is a family-owned hotel that fronts a sparkling swath of sand. Some suites come with a kitchenette and fireplace, so be sure to ask. During your stay, you’ll enjoy complimentary breakfast, two heated pools, and hot tubs. AirBnB.com, VRBO.com: North Tahoe is loaded with vacation homes from condos to colossal homesteads. 2. What to wear? Snow clothes rule in the winter and range from well-worn to fancy labels – but everyone demands that apparel be highly functional to work on the Tahoe slopes. In the warm months, it’s flip-flops, t-shirts, shorts, and bathing suits if you’re hitting the lake. If you’re hitting a mountain in the summer, wear closed-toe shoes for hiking and bring layers in case it gets chilly or rainy in the higher elevations. 3. Avoid the major ouch. At higher elevations, your sun exposure is greater. Bring sun block and apply, apply, apply. Apply more when it’s snowy! 4. Just no! 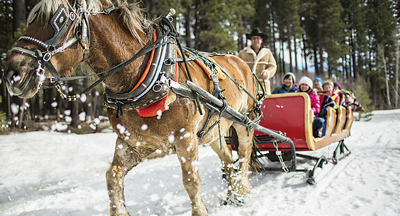 Don’t wedge Tahoe in with other destinations like San Francisco. You need a fair amount of time – at the very least, four full days to explore. Five to seven is better. 5. Is flying into San Francisco or Oakland smart? Unless you’re visiting someone in the Bay Area, there’s no reason to fly into San Francisco. San Fran is a 4-hour drive – without traffic – to Tahoe. Fortunately, the Reno-Tahoe International Airport sits a lovely 44-minute drive to Lake Tahoe. Save by flying from D.C. to Reno, and pay $300 to $500 per round-trip. A flight from RVA to Reno will run you $500 to $1,000 round-trip. A Tahoe local suggested flying into Sacramento International Airport as a good option, but only if it makes sense for your journey. Sacramento is a solid 2-hour drive – without traffic – to Tahoe, but if you must use Sacramento, drive I-80, not I-50. The I-50 corridor in the mountain region is antiquated and a little scary. 6. When is Tahoe quiet? 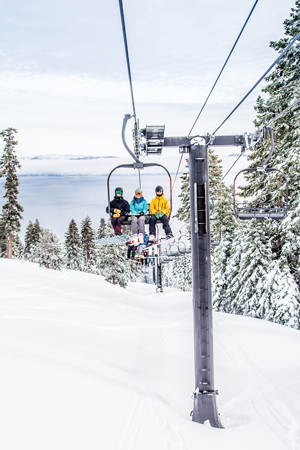 Tahoe’s quiet season in the winter is the last two weeks in January and the first week in February. For summer fun, Fourth of July is Tahoe’s packed summer weekend, but fly in after Labor Day and you might score nice temps with low crowds. The fall is also a quiet – and stunning – time to see Tahoe. 7. Is driving around the lake fun? Super fun in the spring, early summer (June), and fall – but not smart in the winter or during heavy traffic times in July and August. Driving around the lake takes a day since you’ll want to stop at pull-offs, take photos, eat lunch, swim at a beach, and just chill with people you love. Next articleMeet 3 Everyday Heroes in Richmond!